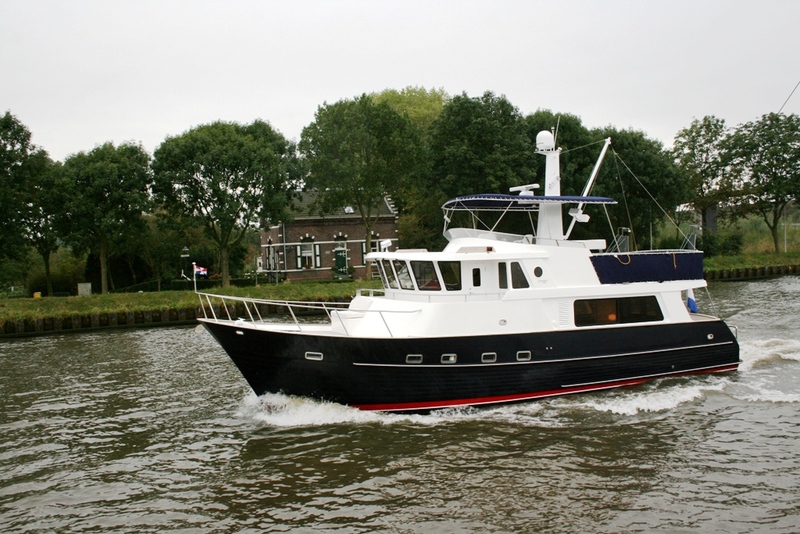 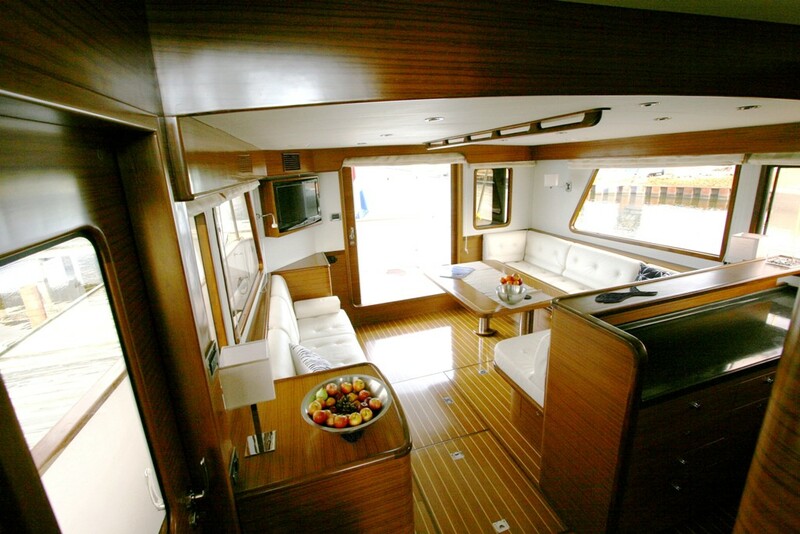 The interior of the 550CE is spacious.The sleepingquarters are reachable via the staircase from the pilothouse. 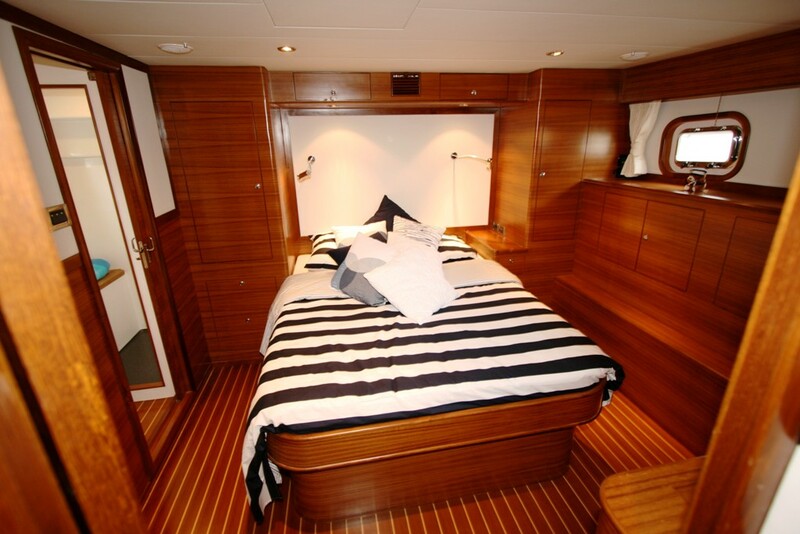 There are 3 cabins each for 2 persons.The master bedroom is large and has an ensuite seperate shower and toilet area. 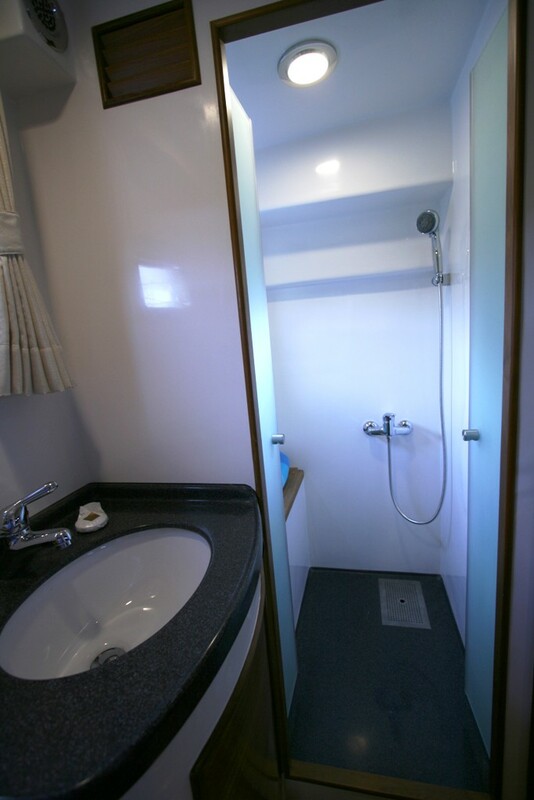 Another 2 cabins and a second shower/toilet cabin. 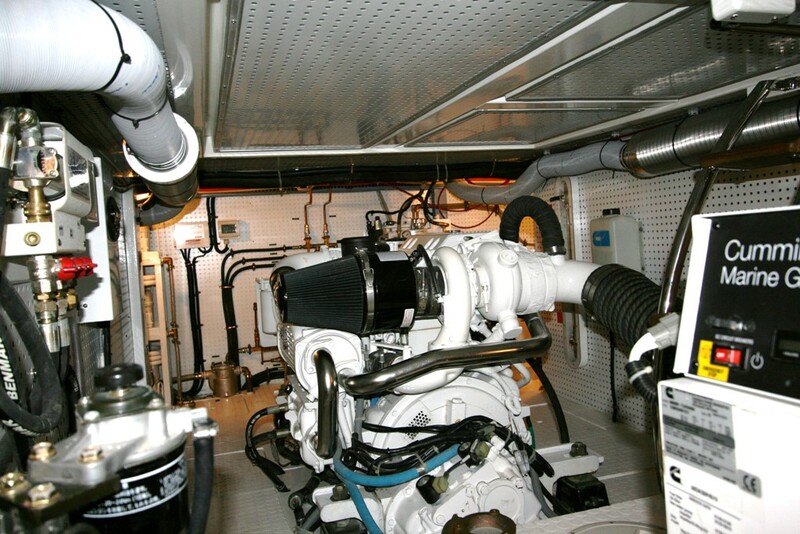 There is lots of storagespace. 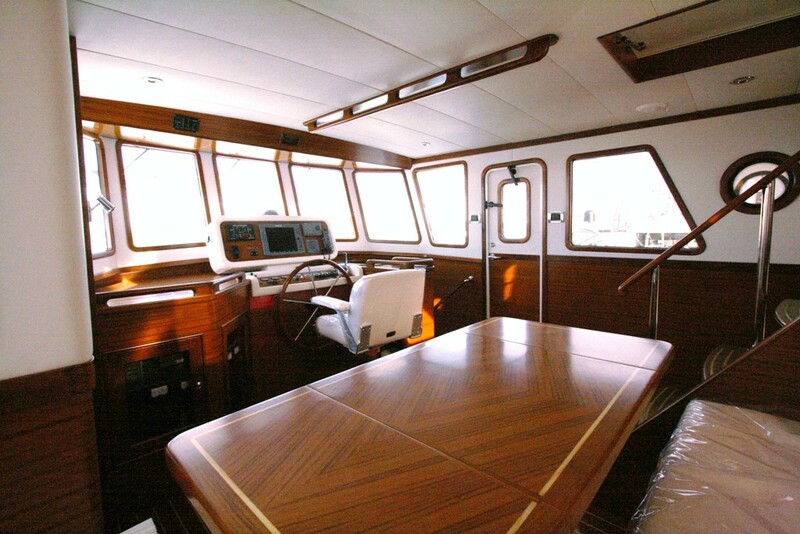 The pilothouse with portugese bridge gives you a 180 degree view and has a comfortable seatingarea which can be transformed to a 2 pers. 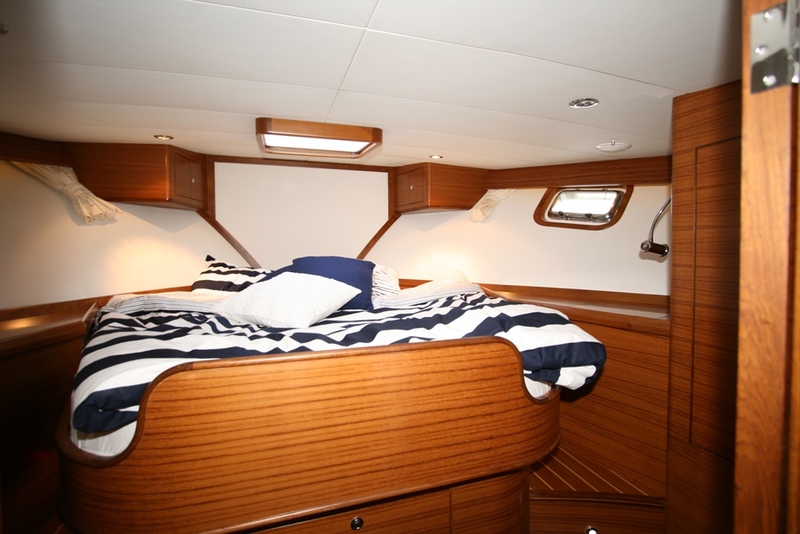 bed..The kitchen has many drawers and cabinets and is equiped with ceramic cooking area,dubble sink,fridges,deepfreezer,microwave. 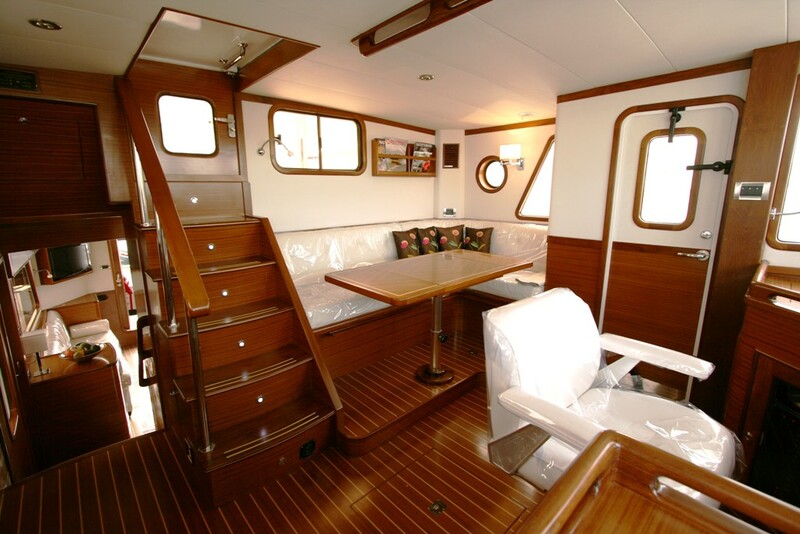 The saloon is spacious and has a comfortable seating and 3 separate chairs which can be transformed to a bench. 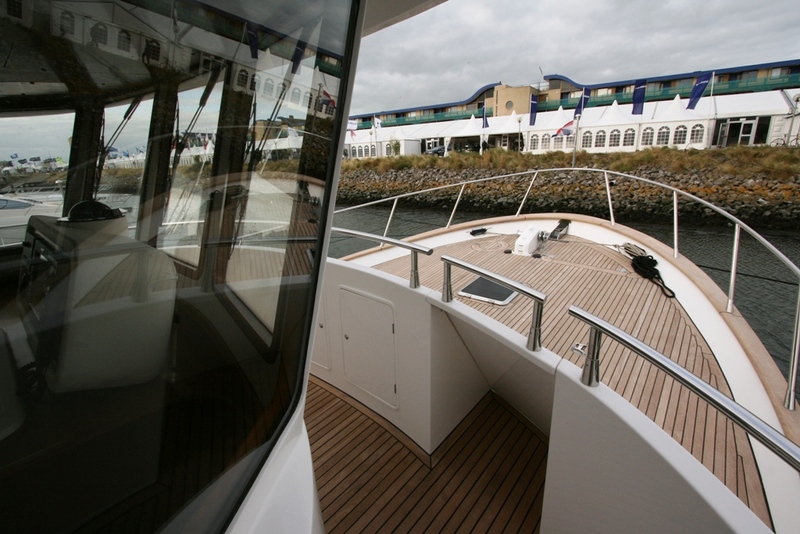 The flybridge is large and has on SB side the second control station.The tender can find its place and there is an electric winch to launch the dinghy.The engineroom is reachable through the lazaret from the aftdeck.There is ample space for generator, wing engine and other equipment. 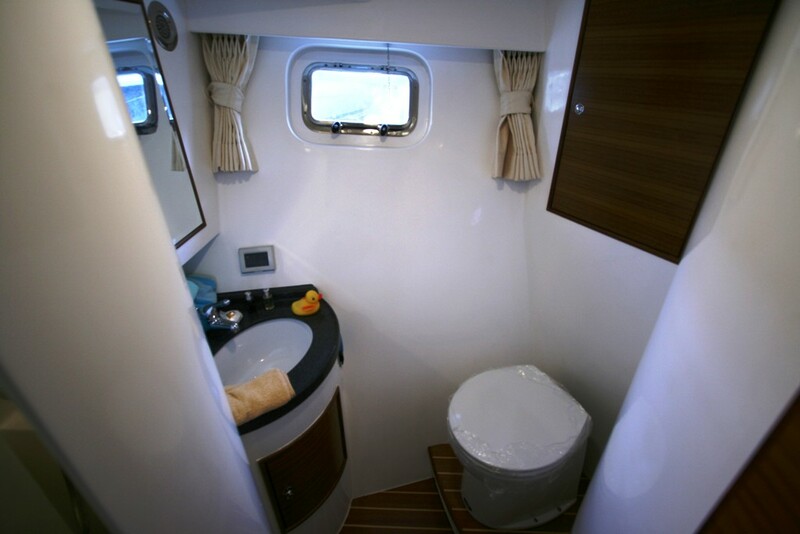 In the lazaret is space for the washing machine.